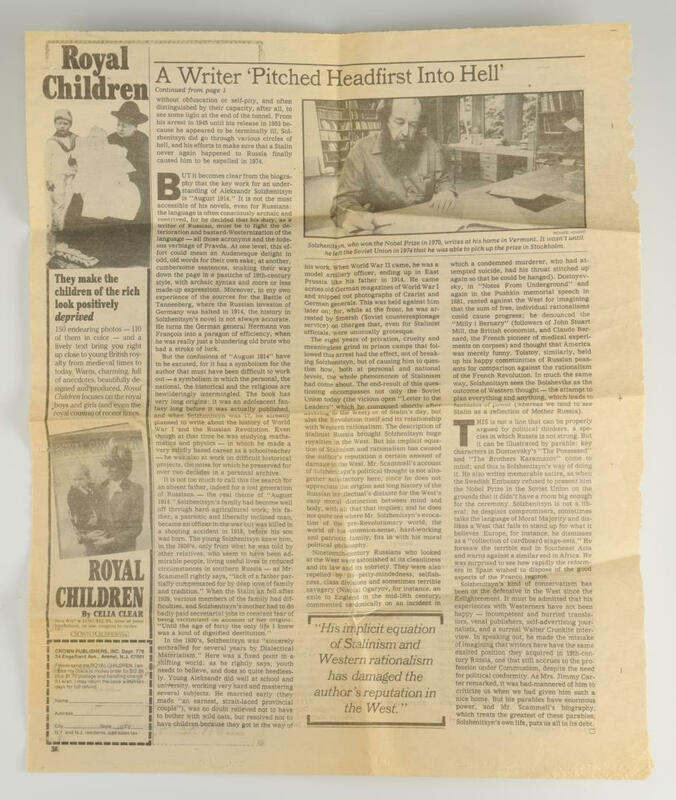 Remini Robert V. Three volume biography. 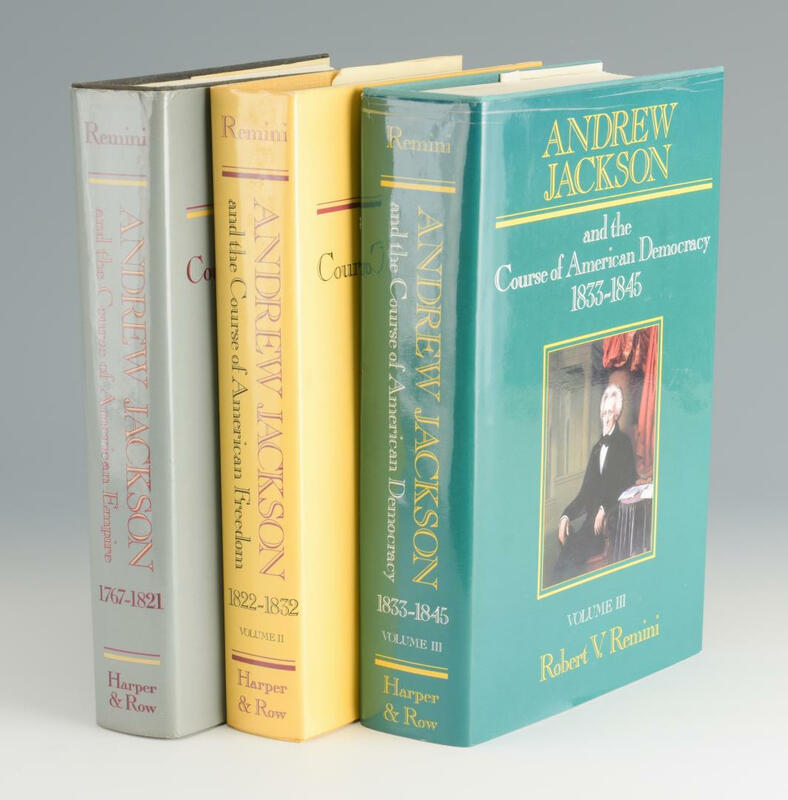 All three volumes are first editions. 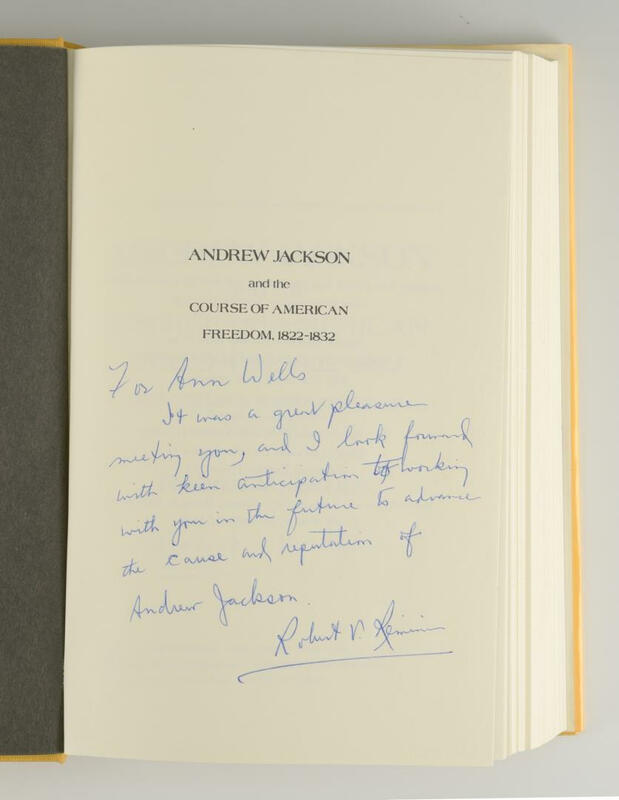 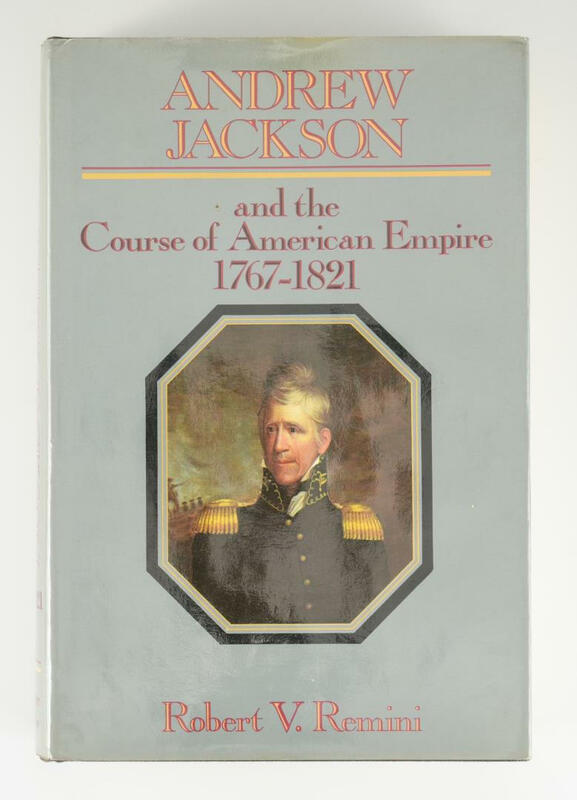 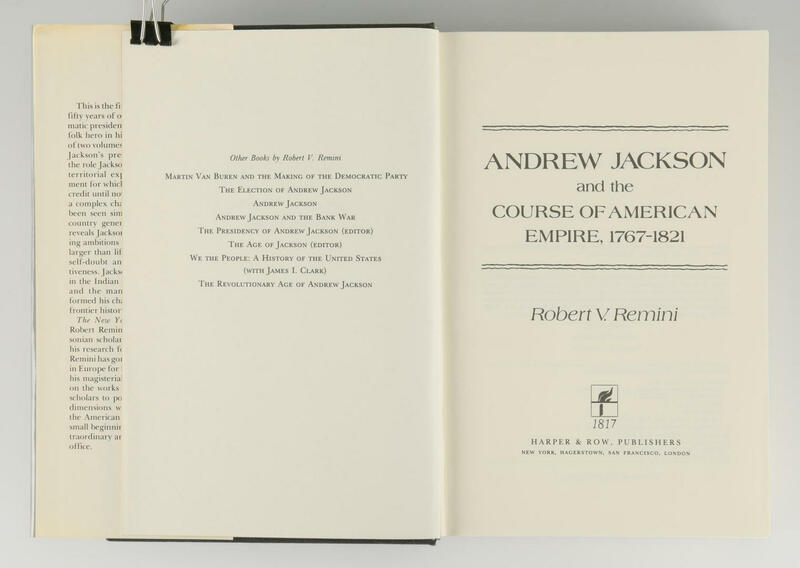 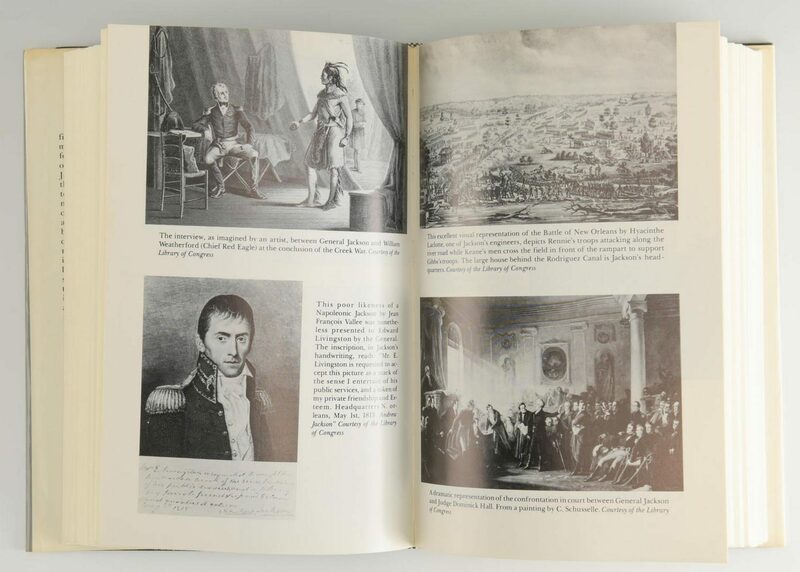 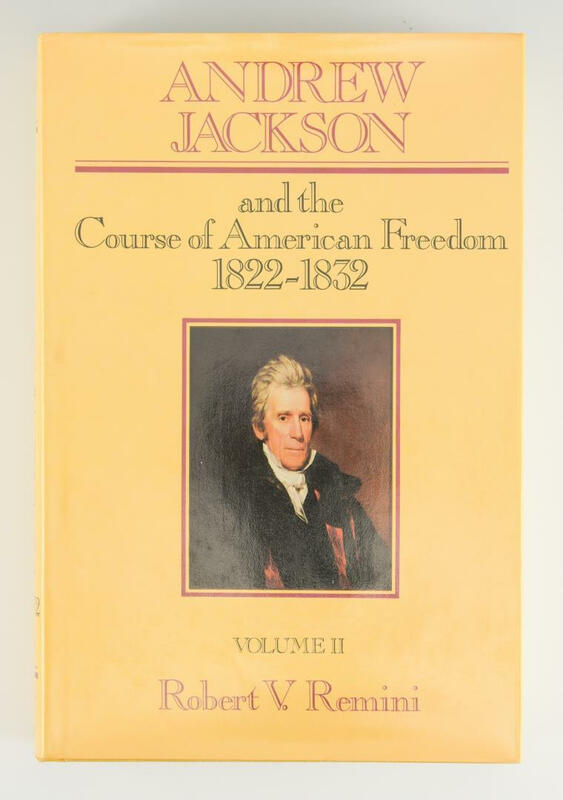 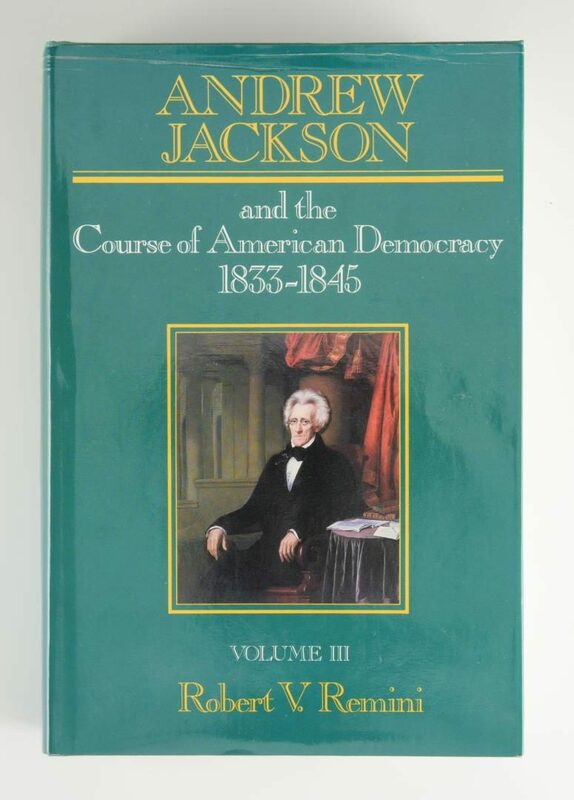 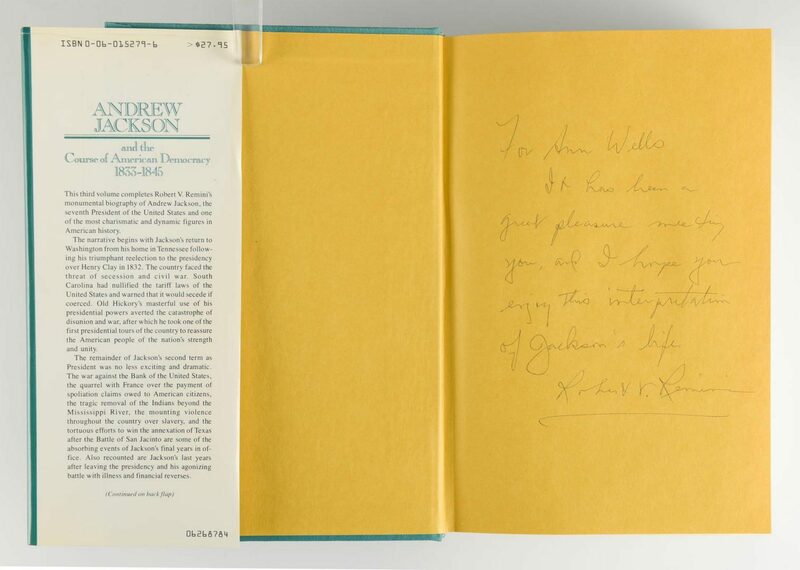 Volume One: Andrew Jackson and The Course of American Empire, 1767-1821 (1977); Volume Two, Andrew Jackson and The Course of American Freedom, 1822-1832 is inscribed warmly and signed on the half title page AND signed again on the title page. 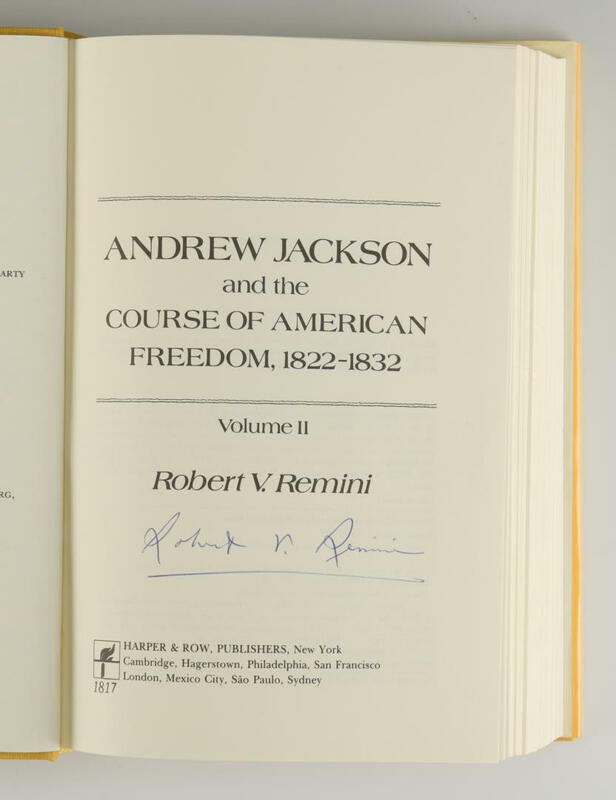 Volume Three: Andrew Jackson and The Course of American Democracy, 1833-1845 is inscribed and signed on the front free endpaper. 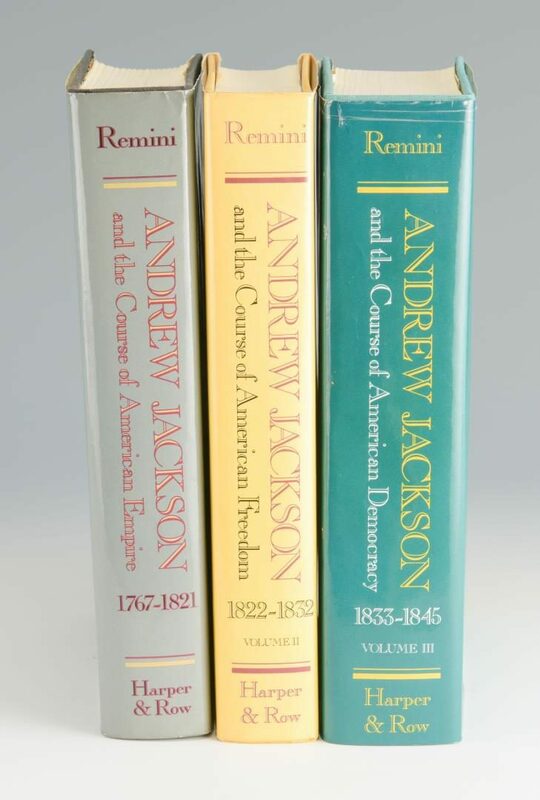 Complete in 3 volumes. 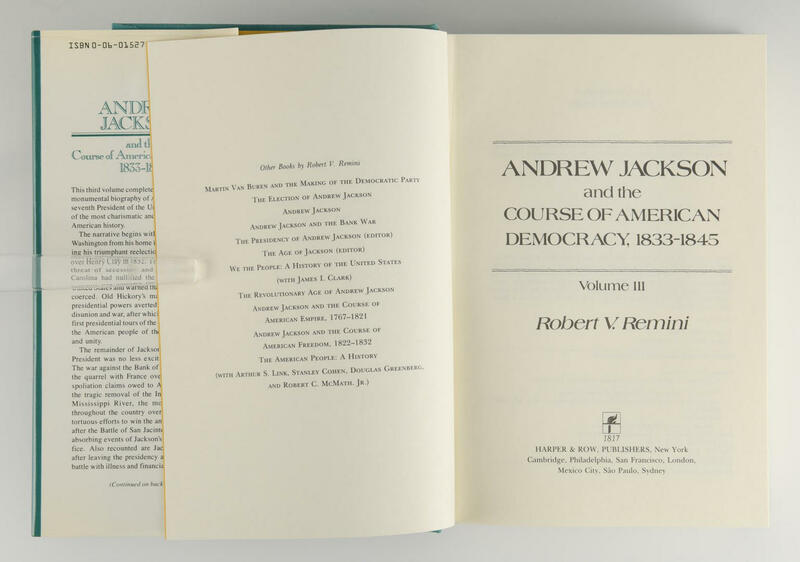 All volumes show full number lines and have unclipped dust jackets. 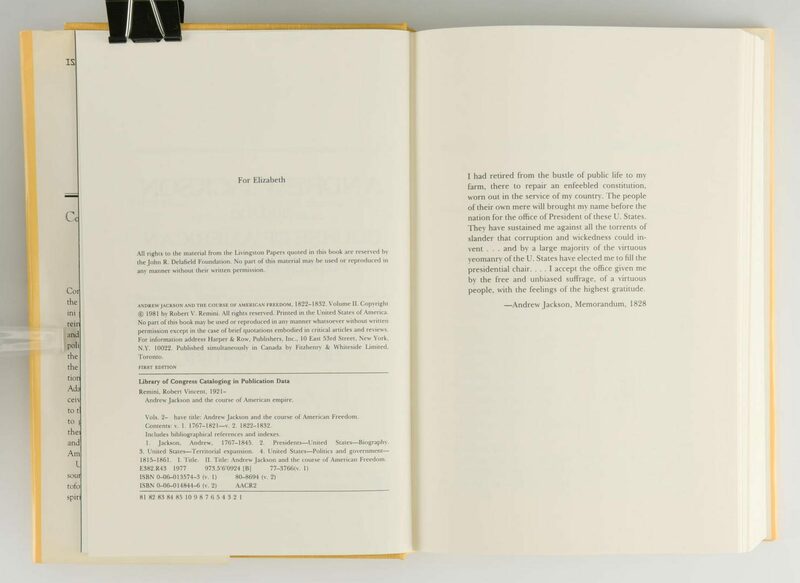 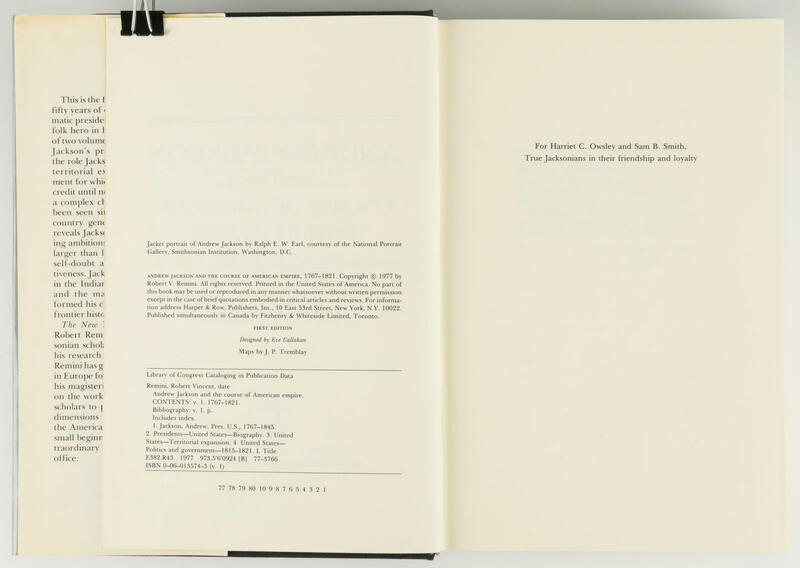 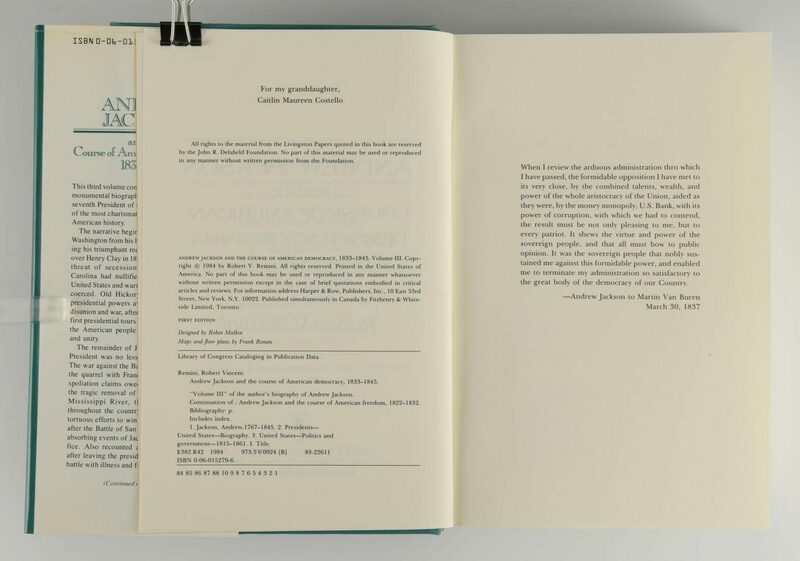 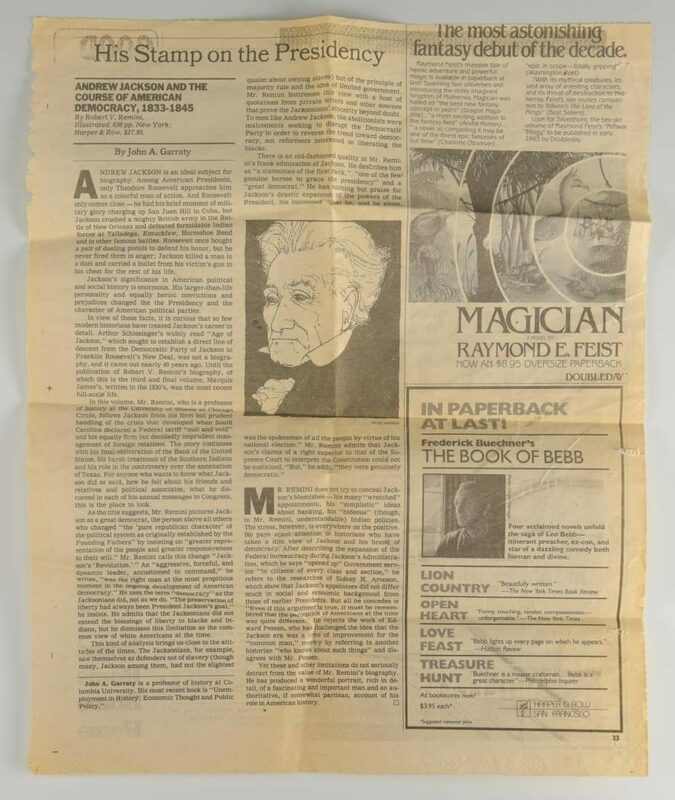 Books range in size from 9 1/2" H x 6 3/8" W x 1 3/4" D to 9 1/2" H x 6 3/8" W x 2 1/4" D. Collection of Charles and Ann Wells, Nashville, Tennessee. 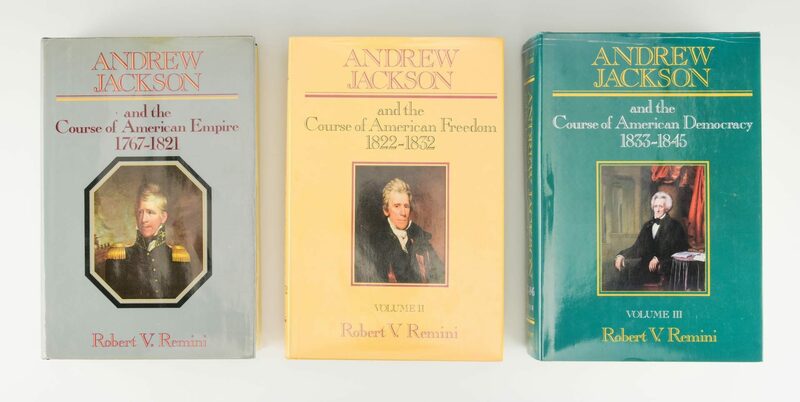 CONDITION: All three volumes are in very good condition in very good dust jackets.